The motorhome is parked at my son’s home in Ivoryton, Connecticut. 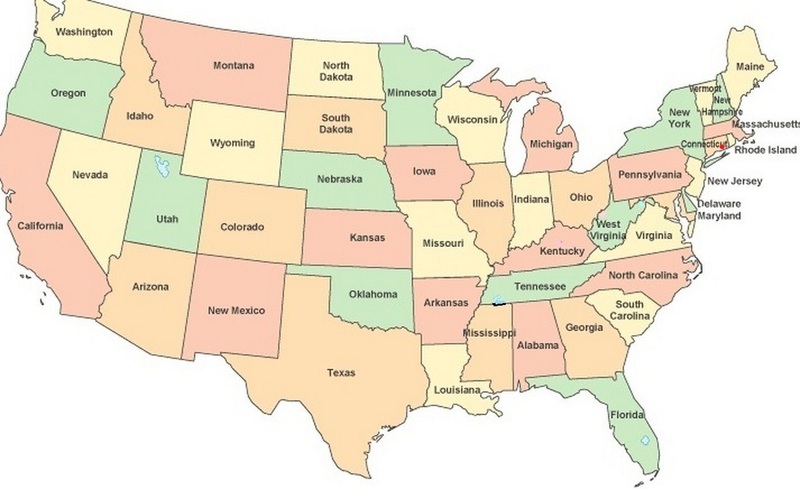 We are planning to depart for the west coast next Monday. In preparation for our departure from New England next Monday, yesterday Mary and I returned to my favorite bookstore in the whole world…The Book Barn in Niantic, Connecticut. I bought 10 books, About six weeks ago I went to The Book Barn and bought 19 books. In many years of travel I’ve been in many a used bookstore and this one is the best! If you are a regular follower of my blog,you know that I’m an avid reader…reading on average about a book or two a week during the course of a year. As I travel I frequently have a problem finding books I like to read and frequently have to pay what I consider to be an excessive price. But…I don’t have those problems at The Book Barn in Niantic, Connecticut. They have over 500,000 books and all paperbacks are only $1.00! Why is a good book like an RV???? Because both can take you to wonderful places!!!! An RV takes you physically and a good book tales you mentally!!!! Enjoying a good book is another joy in the life of a full-time RVer! Forecast for today is sunny and 62 degrees. 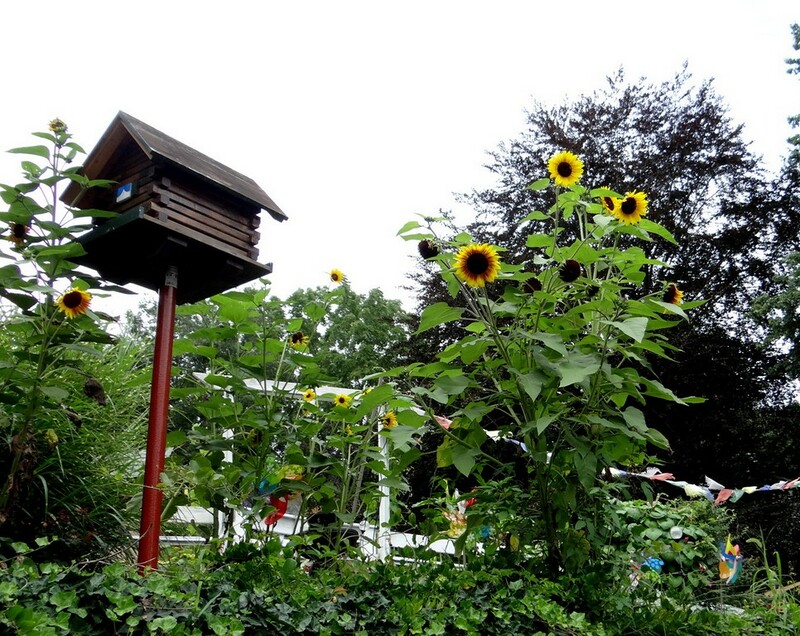 The Book Barn in Niantic, Connecticut, looks like a garden when you drive up. That’s because it IS a garden, and a quaint place where book lovers hang out, trade and buy books. And, yes, there is a barn, and many other sheds and shacks and benches and…well it is different by all accounts. So follow me for an abbreviated look. Your first stop is a buy and sell counter with the above sign. 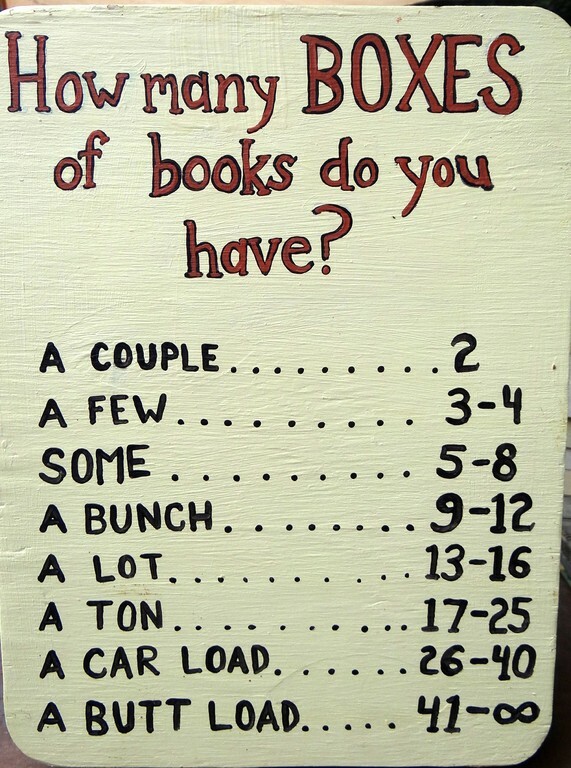 You grab a number if you have books loaded in your car. When the counter is clear of book sorting, and your number is called, you can unload your books on the counter. If you have bags full you can carry in one hand, you don’t need a number. That was us, we turned in about 30 books. Now its time to go shopping. You have to choose from roughly 350,000 volumes, mostly paper back. I chuckle at their designations. 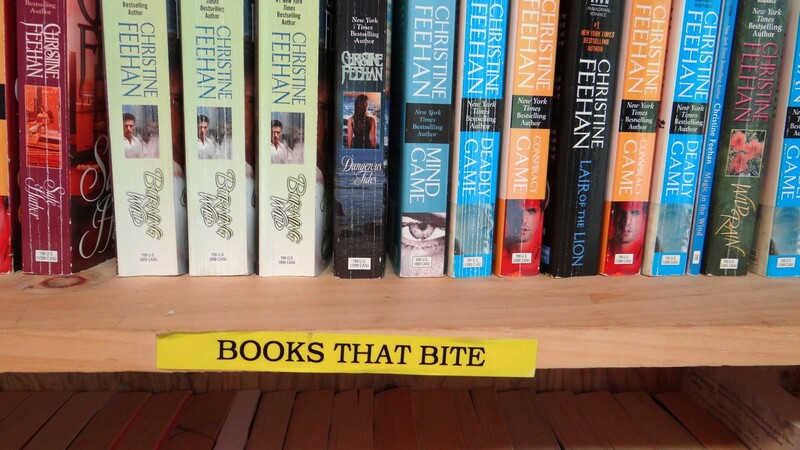 Perhaps you like books that bite? 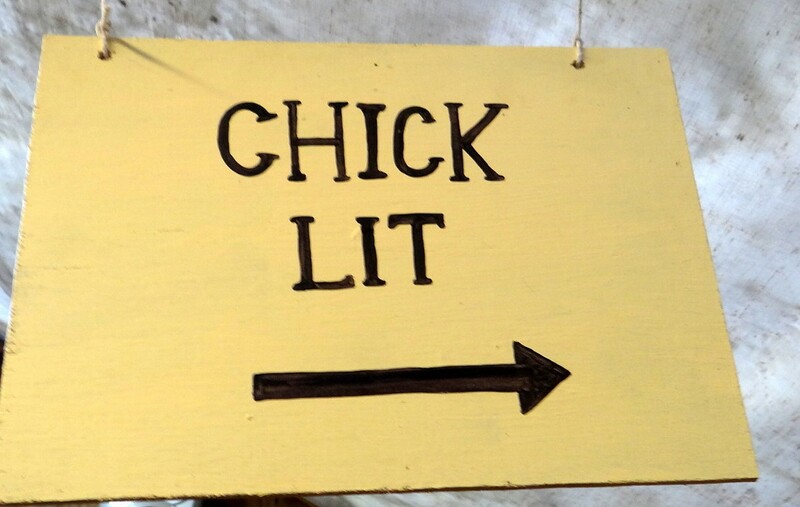 Or maybe chick lit? A little building I love to browse. In one mystery barn, the alphabet stopped at G and was continued on over to another barn. Despite the widespread collections, everything is pretty easy to find with good signage and able helpers. 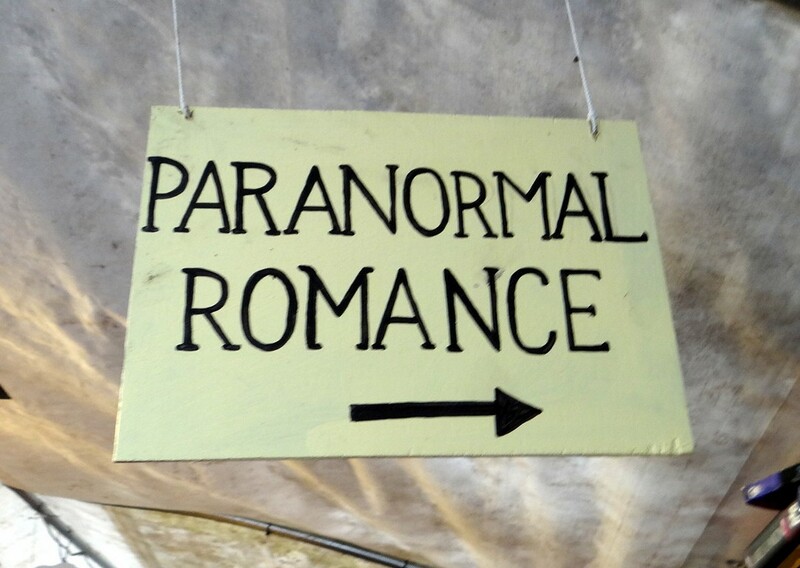 I have no clue what Paranormal Romance is but others must. I was after books by a new for me author, Iris Johansen. I found one in the latest arrivals kiosk, right out front at the entrance. Is she mystery or adventure thriller? Hard to tell, maybe a little of both. I followed the garden path. 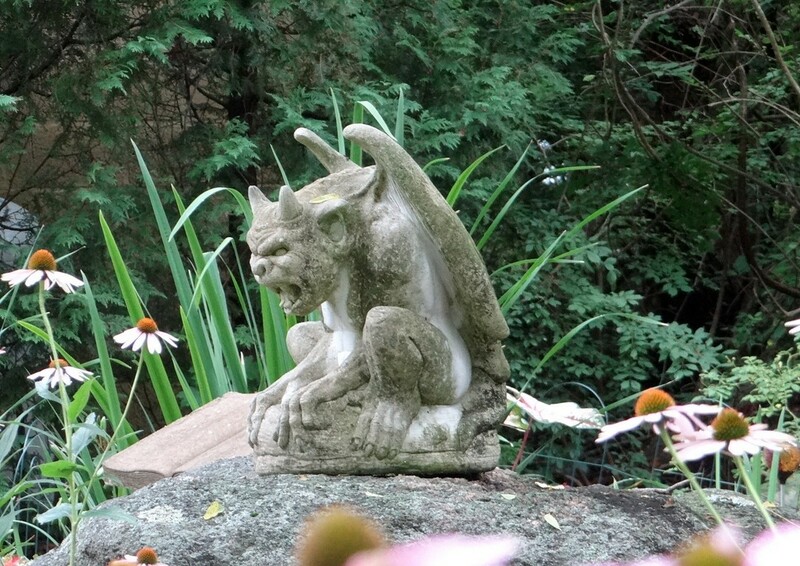 A gargoyle overlooks a quiet pond. 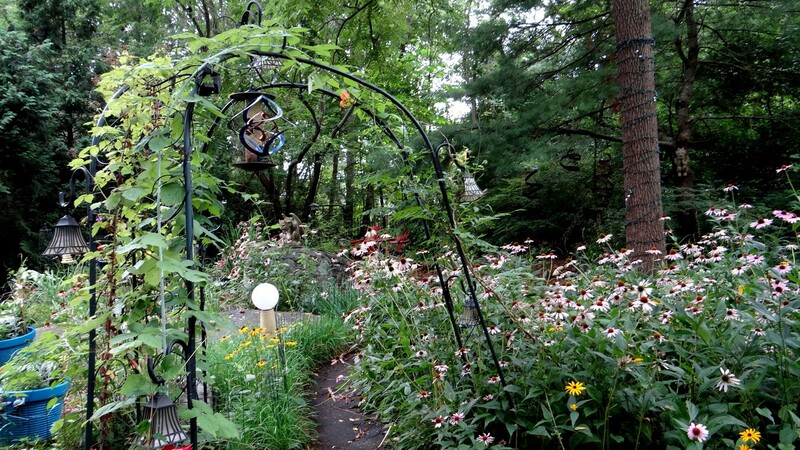 A person could easily spend a quiet day here in the garden reading. And, they make it easy to shop with children. 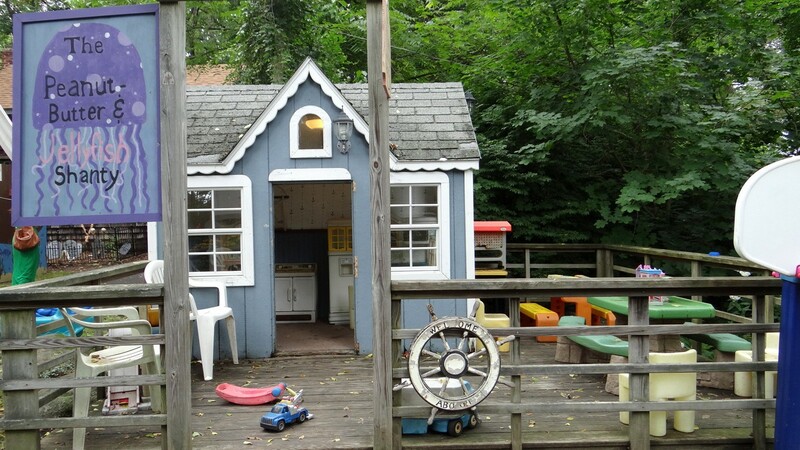 Besides the Peanut Butter Shanty, there are rideable and pushable toys at various wide sections of walkway, wagons to sit in and places to read for kids. A penned goat to pet and many cats. 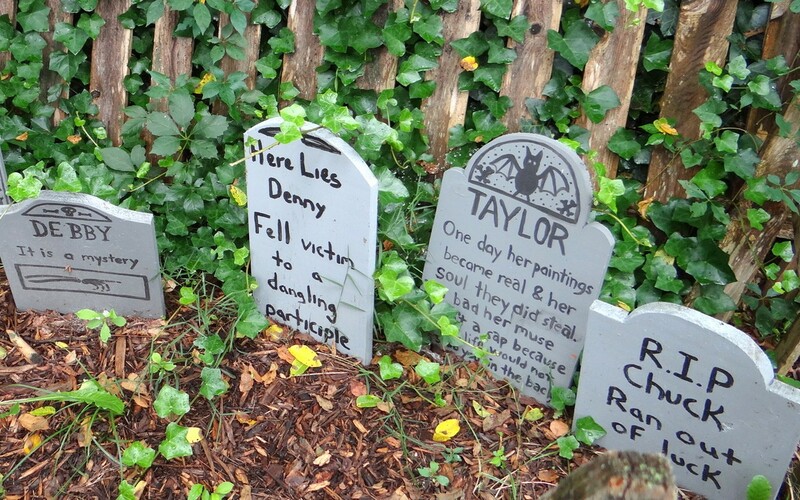 Then there are the graveyards. Hey, fell victim to a dangling participle. What a hoot. And cookbook Ken whose love of food did him in. 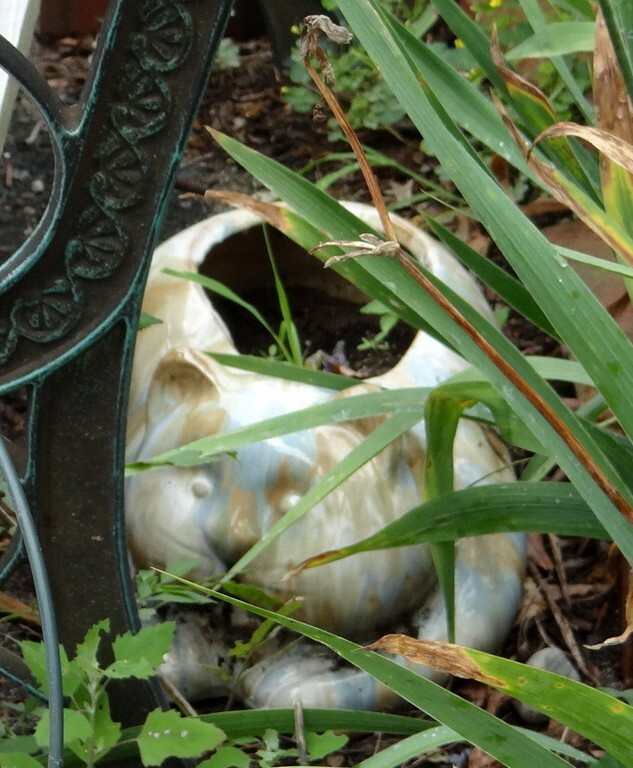 You may have to double-click the photos to read the inscriptions. 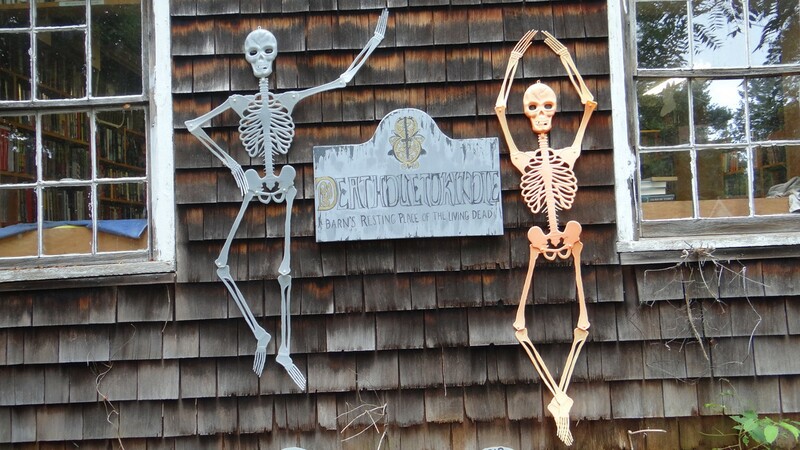 Hovering over the graveyards, two skeletons with the sign, Death By Kindle. 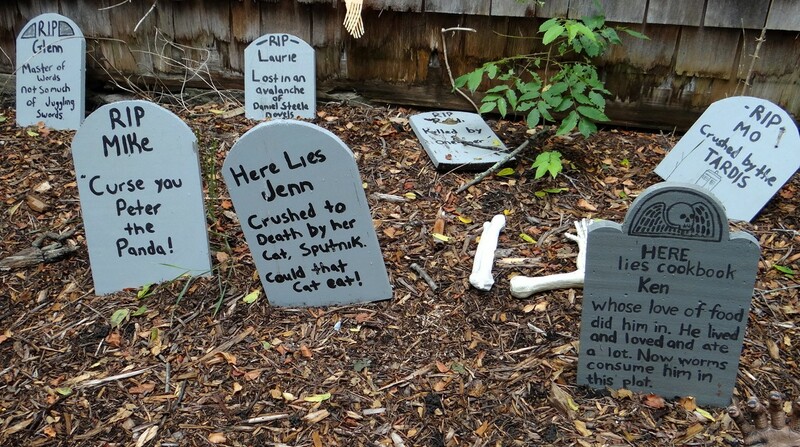 I expect they are writer’s skeletons. It was at the haunted book shop building that I found 14 Iris Johansen books I hadn’t read. That’s because I’ve only read one and she’s written about 40 books. I can see I’m going to have fun for weeks for my fourteen dollars. Many cats sleep among the shade plants, but this one would be my choice. It was a fun day. 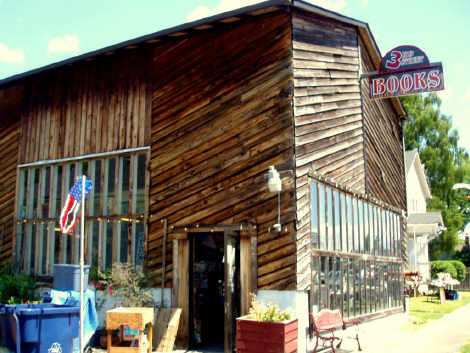 The barn has two more stores in town and between the three, they have an average total of 500,000 books. Today, we were supposed to go raspberry and blueberry picking with Jim’s grand-daughter, Jaime, but it is raining and looks to continue for the rest of the day. Iris Johansen will keep me entertained. 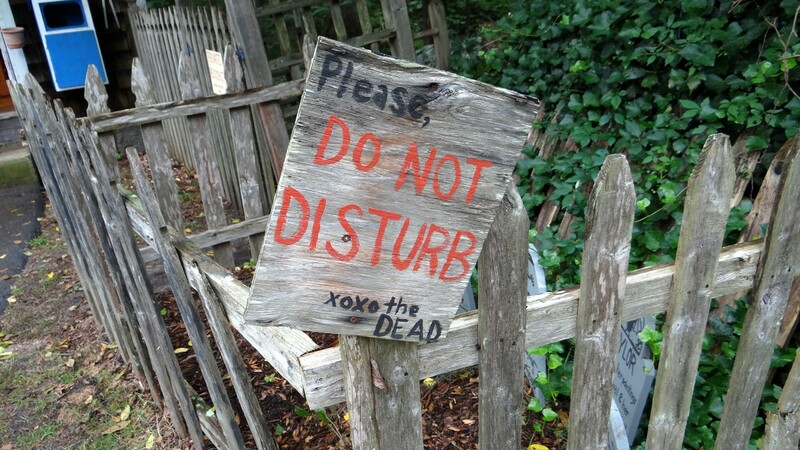 Fortunately in only a very small way. I drove my Bronco II about 20 miles from my current camping spot at Thousand Trails Thunderbird RV Resort in Monroe, Washington to the 3rd Street Bookstore in Marysville, Washington. If you are a regular follower of my Blog, you know that I’ve been an avid reader all of my life and I’m always on the lookout for a good book to read. I was there only a short while. The upstairs floor, which I did not make it to yesterday, has books haphazardly piled all over the floor making it very difficult to walk around. You sometime have to step on books to get where you want to go. The reasons my yesterday’s visit was so short are two…first of all I’m currently looking for books from only three specific authors. I already have everything they had in stock…so I came away with no new books. The biggest disappoint though was they have changed their pricing policy from $1 for a used book to one-half the original price. In the past an originally priced book say of $8 was $1…now it’s $4. Don’t feel bad for me about this because I do not. Fortunately my very favorite book store in the United States…The Book Barn in Niantic, Connecticut has over 350,000 books in stock. They keep a running list of titles I’m looking for and I call them whenever I’m ready for a refreshment of books waiting to be read. For a very reasonable fee…they ship my books to whatever address of wherever I happen to be at that time. And…all of the regular paperbacks remain only $1.00! I realize things are constantly changing and into each life a little rain must fall…so I’m okay with yesterday’s disappointment. Speaking of rain…there was none yesterday. It was a beautiful sunny day with a temperature of 70 degrees…right at the mid-point of my desired temperature range of 65 to 75 degrees..with a delightful gentle breeze. The very kind of day of why I so love the beautiful Pacific Northwest this time of year. Speaking of beautiful…while in Marysville yesterday…I saw this building mural which I believe is new since my last visit. 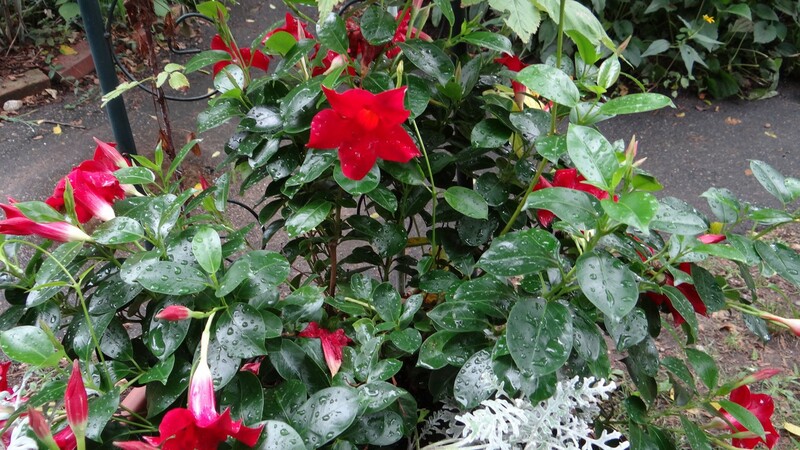 I do not recognize the specific scene…but in general…it represents the beauty of this area. With this beautiful scenery and a beautiful day like yesterday…life is good. I’m so lucky to be a full-time RVer! Oh…another reason not to feel bad for me…I still have 33 books waiting to be read right here in the motorhome. Why are a good book and an RV much alike??? 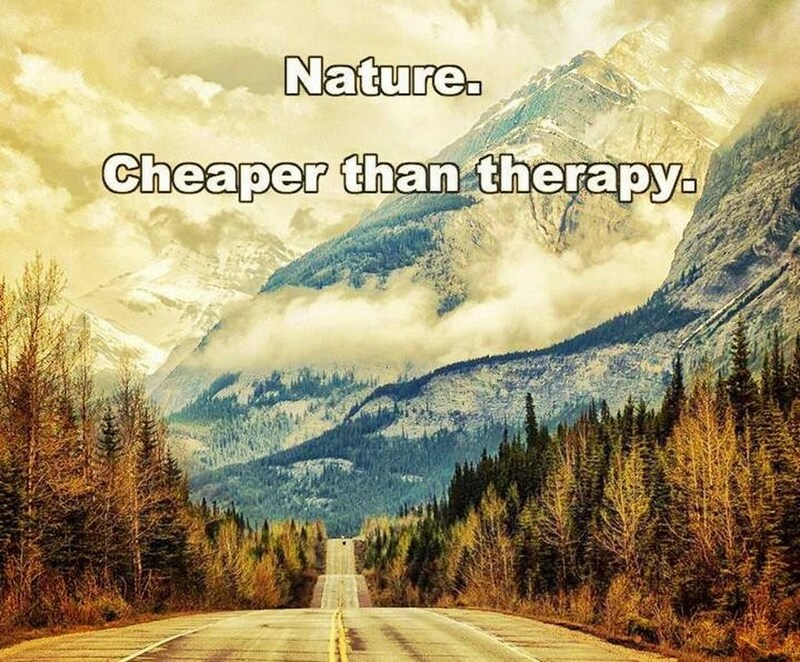 ?….because they both can take you to beautiful places! A bad day of RVing…beats a good day at work! If You Love To Read…You Should Read This! In yesterday’s Blog posting I spoke of a new problem I had just developed. I had just accidentally discovered the author Michael Connelly and now I wanted find all of his about 25 books so I can read them in the order as written to follow the character’s development. 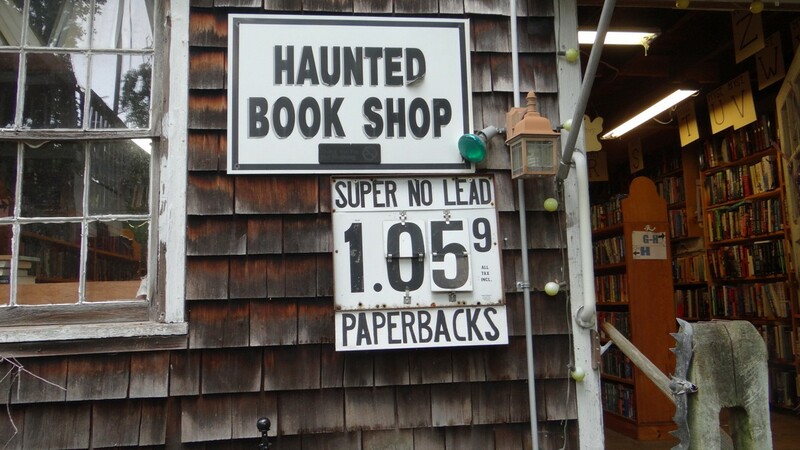 If you are a long-time reader of my Blog, you might remember this May 31, 2010 entry about my favorite bookstore in all of the United States…The Book Barn in Niantic, Connecticut. 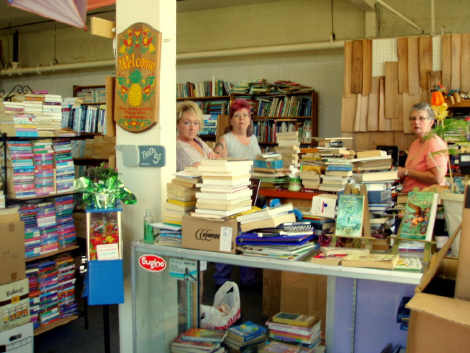 They have over 350,000 books and their paperbacks are only $1.00 each. In two trips to the Book Barn last summer, I bought total of 67 books! So…back to my problem. I didn’t know if The Book Barn offered this service, so I decided to send them an Email and ask. I told them of my interest in acquiring books by Micheal Connelly and could they ship them to me? A short while later I got a response from Julia at The Book Barn and she said yes, they could do that. She identified the titles they had in stock…I told her which ones I wanted…I gave her the shipping address…then called her at 860-739-5715 to provide the credit card information to complete the order. I’m getting 13 books for $13 and $4.50 shipping. Total order $17.50! Then I asked if she could keep an eye out for the other titles I’ll be looking for and she said yes, she could do that. She’ll email me whenever they get a title I’m seeking. So, if you are having problems locating a book or books…contact Julia at the above shown contact information and she’ll be glad to help you out. I sure wish there was a Book Barn in every town/city in which I visit! My Favorite Bookstore In The Whole World! In preparation for our departure from New England one week from today, yesterday Mary and I returned to my favorite bookstore in the whole world…The Book Barn in Niantic, Connecticut. Shortly after our arrival in New England we last went to this bookstore on May 31, 2010 when I bought 47 books. In many years of travel I’ve been in many a used bookstore and this one is the best! If you are a regular follower of my blog,you know that I’m an avid reader…reading on average about a book or two a week during the course of a year. As I travel I frequently have problem finding books I like to read and frequently have to pay what I consider to be an excessive price. But…I don’t have those problems at The Book Store in Niantic, Connecticut. They have over 350,000 books and all paperbacks are only $1.00! Yesterday I bought 16 more books! The Book Barn is my favorite book store in the whole world. One of about six satellite buildings. Yesterday we whiled away the morning doing miscellaneous things…one of which was Mary ordering her tickets for another trip back to her home in California for a July 4th annual family reunion. She’ll be gone June 29-July 13. 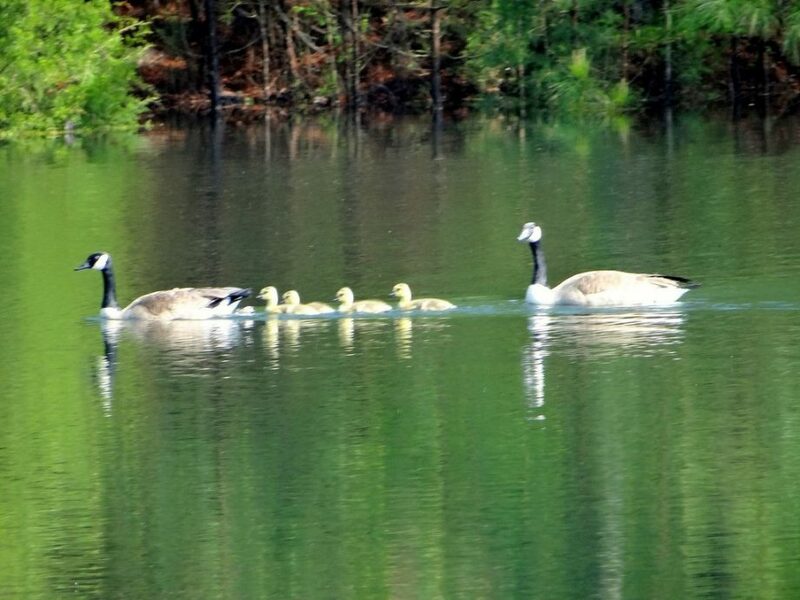 During that time I’ll hang out with my family here in Connecticut. Then to a picnic for my grandson’s baseball team between a double-header baseball day. Along the way to my favorite book store we passed the Millstone Nuclear power Station where I worked from 1966-69 and 1972-74. I was involved in the construction of this facility. Then to my favorite book store in the whole of the United States. If you are a regular follower of my blog,you know that I’m an avid reader…reading on average about a book a week during the course of a year. As I travel I frequently have problem finding books I like to read and frequently have to pay what I consider to be an excessive price. But…I don’t have those problems at The Book Store in Niantic, Connecticut. 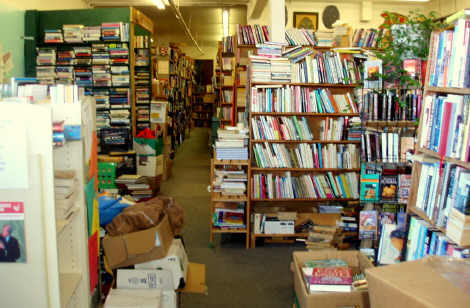 They have over 350,000 books and all paperbacks are only $1.00! Yesterday I bought 47 books! The Book Barn is my favorite book store in the United States.